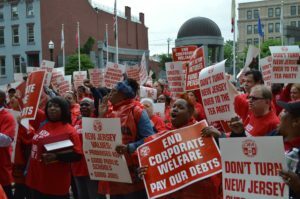 CWA and the Sate of New Jersey have reached a Tentative Agreement on a new state worker contract. 12:00-3:00 PM: 153 Halsey St. Newark – 3rd Fl Community Rm. This entry was posted in Uncategorized on April 24, 2018 by cwalocal1037.